Cecilia Fox | AIM Media Midwest Susan Webb and her mother Barbara McKenzie of Medway checked out the array of flowers at the Andy’s Garden display at this year’s Mum Festival. 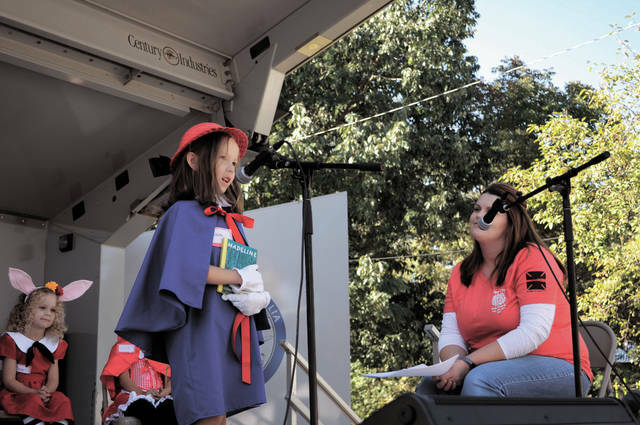 Cecilia Fox | AIM Media Midwest Dressed as Madeline from the children’s book of the same name, Bianca Quillen, age 7 of Tipp City, interviewed to be this year’s Little Miss Mum Saturday afternoon.  Cecilia Fox | AIM Media Midwest Tipp City singer-songwriter Cory Breth entertained the crowd at this 2018 Mum Festival. TIPP CITY — The morning that dawned on the 60th Tipp City Mum Festival was as close to perfect as organizers could hope for. The parade Saturday morning went off with only one small hitch: a train briefly stopped the procession of local marching bands, Scout troops and local businesses and clubs. “But you can’t stop the trains,” House said. 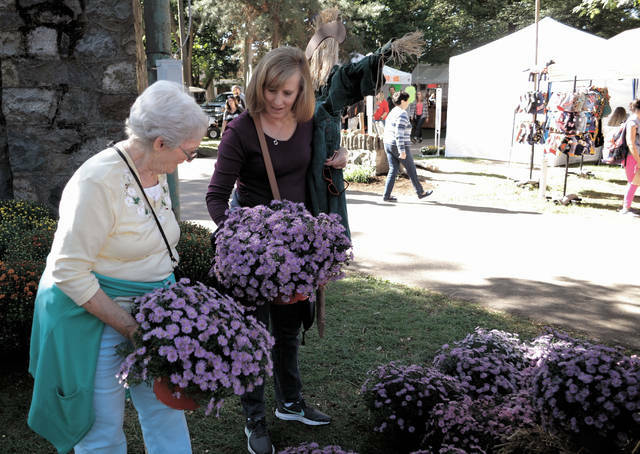 Huge crowds packed City Park on Saturday after the parade, shopping for chrysanthemums, local arts and crafts, and other goods offered by the more than 250 vendors at the festival. Susan Webb and her mother, Barbara McKenzie, of Medway, came to the festival for the shopping. “The mums and the crafts,” Webb said, holding a large scarecrow decoration while looking at flowers. This year’s Mum Queen, Emily Ringo, and members of the court, Miss Congeniality Miranda Houshel and third attendant Kylah Branscomb, also made a circuit of all the different vendors. “I like looking around at everything. Like walking through, even if we walk through five times, we’d still find new stuff,” Houshel said. Ringo said she enjoyed seeing the big turnout for this year’s festival. “I think because the weather is a lot cooler and nice, more people have come, whereas last year it was super hot,” she said. The festival continues Sunday from noon to 6 p.m. and House encouraged people to stop out for more live entertainment, shopping and food. https://www.weeklyrecordherald.com/wp-content/uploads/sites/51/2018/09/web1_DSC_0996_cmyk.jpgCecilia Fox | AIM Media Midwest Susan Webb and her mother Barbara McKenzie of Medway checked out the array of flowers at the Andy’s Garden display at this year’s Mum Festival. https://www.weeklyrecordherald.com/wp-content/uploads/sites/51/2018/09/web1_DSC_0006_cmyk.jpgCecilia Fox | AIM Media Midwest Dressed as Madeline from the children’s book of the same name, Bianca Quillen, age 7 of Tipp City, interviewed to be this year’s Little Miss Mum Saturday afternoon. 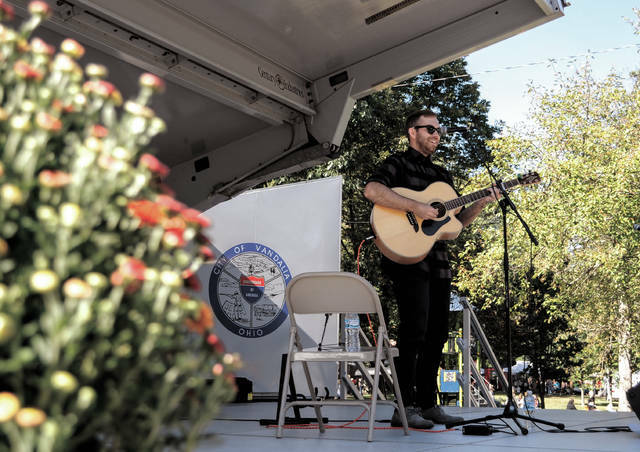 https://www.weeklyrecordherald.com/wp-content/uploads/sites/51/2018/09/web1_DSC_0978_cmyk.jpgCecilia Fox | AIM Media Midwest Tipp City singer-songwriter Cory Breth entertained the crowd at this 2018 Mum Festival.